The Williams family is one of those families who has been with me from just about the beginning of my photography escapade. 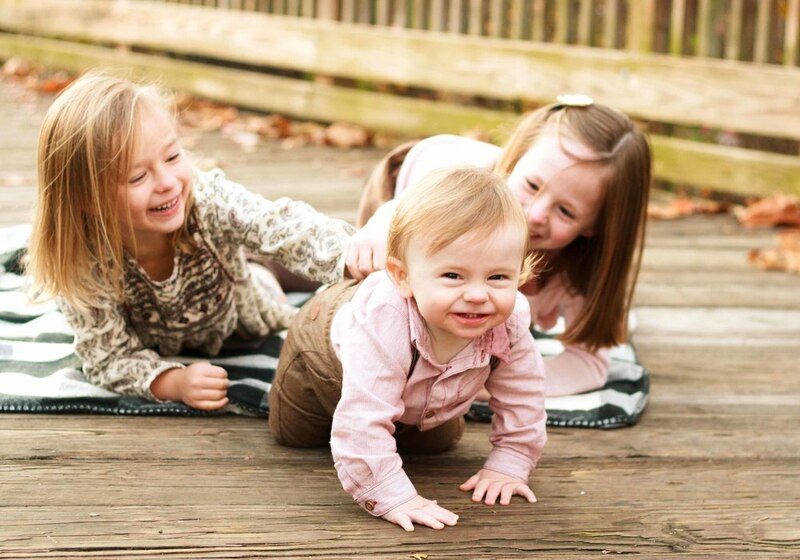 From older sister Reagan's first birthday photo shoot in Wilmington, NC, to a family session in Fayetteville ,NC to a sisters photo shoot in Savannah, Georgia, I have watched their family of three grow into what is now a family of five from behind my lens! 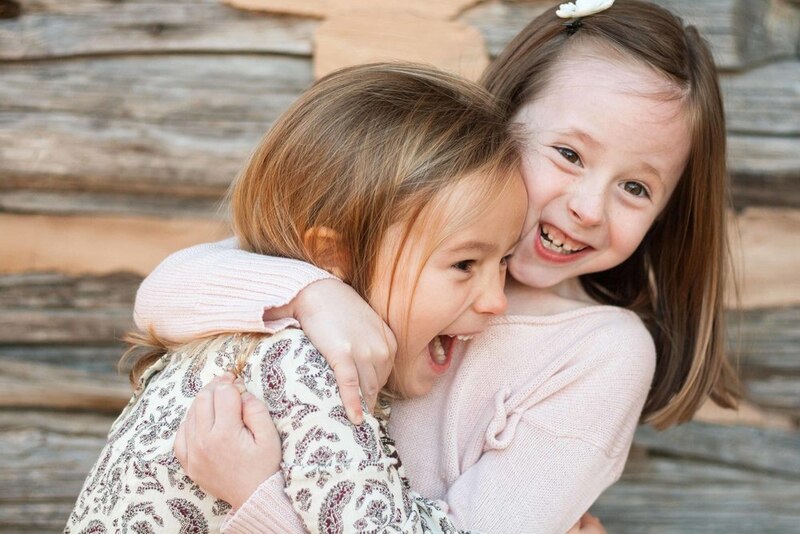 I am just a little bit in love with this entire gallery of their latest family photo session taken at Historic Yates Mill Park in Raleigh, NC. Thank you, Williams family for letting me photograph all of these moments for you. You're the best! 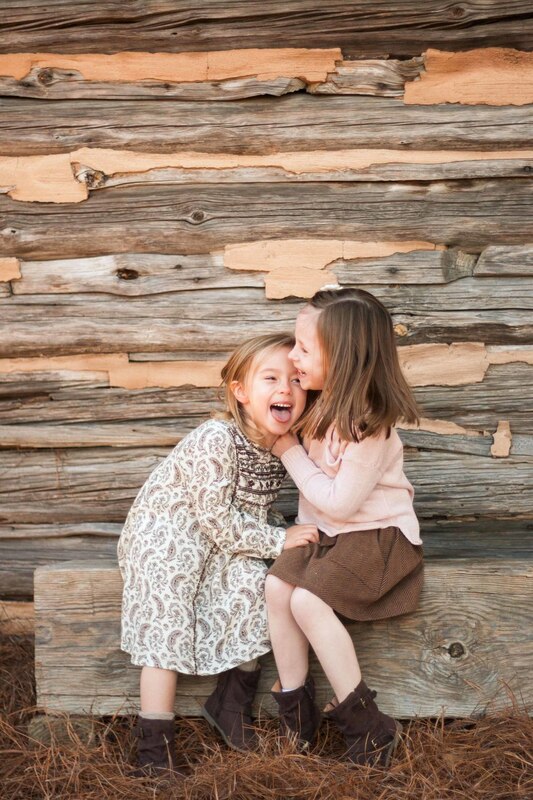 First up: adorable sisters, Claire & Reagan! Little brother Luke is a doll! 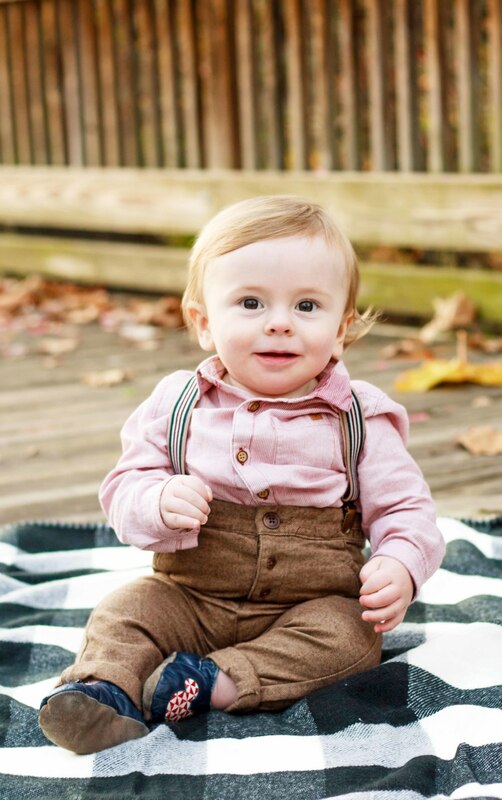 And that outfit with the teeny, tiny baby suspenders and tweed pants- I die! I'm fairly certain those kiddo giggles came about after Mike happened to say something to the effect of "reindeer poop". Ha! Whatever works, right? People sometimes wonder what a photo shoot with me is like. I can tell you one thing: it's fun! I would rather spend my time photographing your family as they really are, versus putting you in posed arrangements to get that "perfect" shot. I want you to hold each print in your hand and hear the laughs that went along with that moment in time. I want you to pass by a framed print in your home and think about the way it truly captured your youngest child's natural smile when it seems SO hard to get that smile in a photo otherwise. Above all else: we have fun, and then I deliver those feel good moments back to you in the most beautiful prints you have laid hands on.